New 2.8 V6 ratio Type 9 gearbox laygear and 19 tooth long input shaft. This is the Uprated or modified type with heavy duty roller bearing on the front. 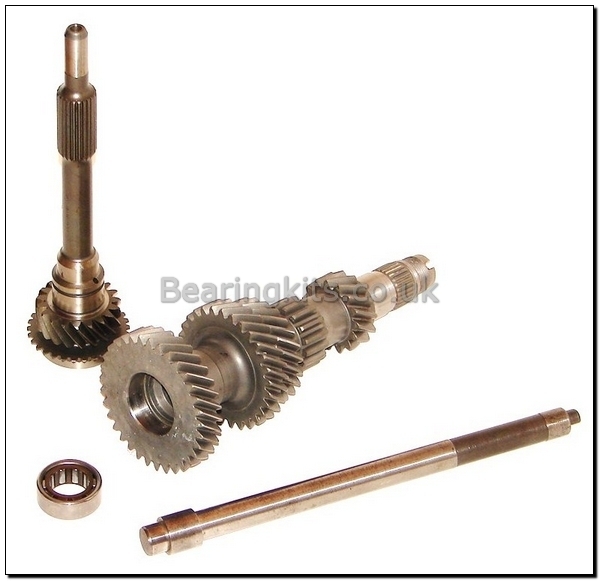 Kit is supllied with a standard type layshaft spindle bush and bearing to accept uprated laygear. The advantage of this kit is the stronger type laygear bearing can be "retro" fitted to an original early Type 9 standard gearbox case. It is also an easy way of converting 1.6 & 2.0 Type 9 gearbox to V6 2.8 "longer" ratios. 1st, 2nd & 3rd gears to match are also available on our website. This is a common conversion used by various suppliers of Type 9 gearboxes.